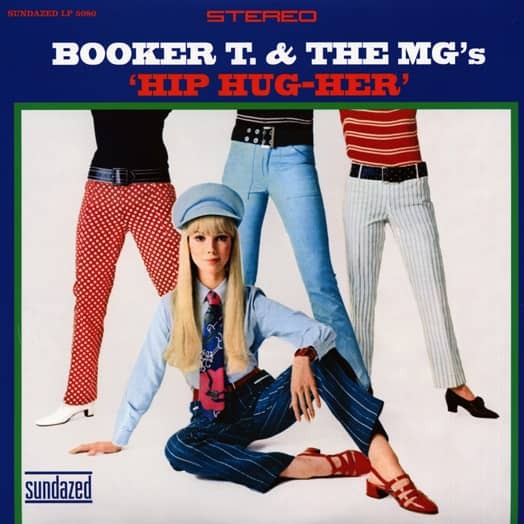 Booker T. & The MG's smoked the charts once again in 1967 with the fabulously slinky 'Hip Hug-Her''just like they'd never left. As house band for Memphis' Stax Records, backing Otis Redding, Sam & Dave and Wilson Pickett, the MG's had written the book on instrumental soul music, and the Hip Hug-Her album impeccably testifies to the greatness of Booker T. Jones, Steve Cropper, Duck Dunn and Alvin Jackson. The MG's versions of the Young Rascals' 'Groovin'' and Bobby Hebb's 'Sunny' were so downright in-the-groove, they became big hits themselves all over again. You'll never get the bell-bottom blues with Sundazed Music's custom tailored version of Hip Hug-Her. Sewn from the original, analog high-thread count Stax master tapes and permanently pressed on High Definition vinyl, you'll look sharp as you strut your stuff in the original, eye-popping artwork. Just remember, dry clean only! 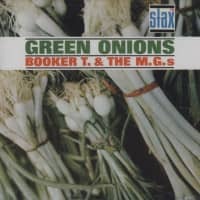 Booker T and the MGs. 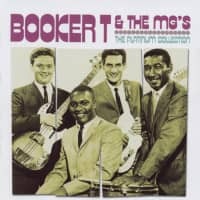 Booker T Jones, born on Dec. 11, 1944, in Memphis, multi-instrumentalist, primarily key-board, and the Memphis Group — Steve Cropper (born Oct. 21, 1941) guitar, originally Louis Steinberg on bass, later re-placed by Donald 'Duck' Dunn (born Nov. 24, 1941), Al Jackson (born Nov. 17, 1945) drums — were for ten years the nucleus of the houseband for Stax records — the corner-stone of the company, its sound, and its success. Originally the rhythm section of the Mar-Keys, the four men were recorded at an impromptu session minus horns, resulting in 'Green Onions', a bluesy organ riff slashed through by Cropper's razor-sharp tones, riding on a simple but persuasive bass and drum line. Issued on the new sub-sidiary Volt, it was transferred to the parent Stax label and distributed by Atlantic to a million sales in August, 1962. Much tighter than the average small R&B combo, their eco-nomic and expressive interplay of ideas was effective on moody, small-hours blues or hard-driving dance tunes, dis-played in over a dozen albums and twenty more singles, in-cluding 'Bootleg' (1965), 'Hip Hug-Her', `Groovin" (1967), `Soul Limbo' (1968), and 'Time Is Tight' (1969) from their soundtrack to the film 'Uptight'. 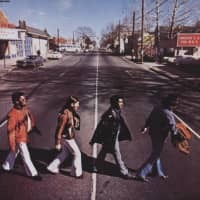 Even more impressive was their contribution to virtually every hit created in the Stax studios in the Sixties. They backed not only the company's own stars, but also provided other Atlantic artists with the most consistently successful answer to the Motown Sound. 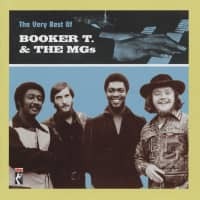 In 1971, tired of the pressures in a company which had long outgrown its intimate beginnings, Booker T escaped to a new career with his wife, Priscilla Coolidge, on the West Coast; Dunn stayed on in Memphis; Cropper has become a roving writer /producer and sessionman. Jackson remained a leading session drummer until his death in 1975. Customer evaluation for "Hip Hug - Her (180g Edition)"